The members of Yacht Club Games have always traded in a particular brand of old school game design. The five primary developers that collectively form Yacht Club Games established themselves in the video game industry at WayForward, where they worked on 2D games like Contra 4, A Boy and His Blob, and Double Dragon Neon; all thoroughly modern takes on classic games that still bore many of the hallmarks of 1990s game design. Now that Yacht Club is currently raising money for its first game, an NES-era style adventure game called Shovel Knight, the team has added one of that era’s most genius creators to the team: Manami Matsumae, composer of the original Mega Man. Matsumae will contribute two songs to the soundtrack. Her most recent work was on 2010’s Mega Man 10, but her career with Capcom stretches back a quarter of a century. She not only composed the music in Mega Man, but also created the iconic sound effects from the series. Other games featuring her music include Magic Sword, which was recently re-released on Xbox Live Arcade and the PlayStation Network, as well as the classic shooter U.N. Squadron. With more than a week to go in its Kickstarter campaign, Yacht Club has raised more than $106,000, crushing its initial fundraising goal of $75,000. What started as a PC game was quickly upgraded to a Nintendo 3DS and Wii U release based on player feedback. As of now, the group is still around $25,000 shy of making the game a Linux and Mac game as well. 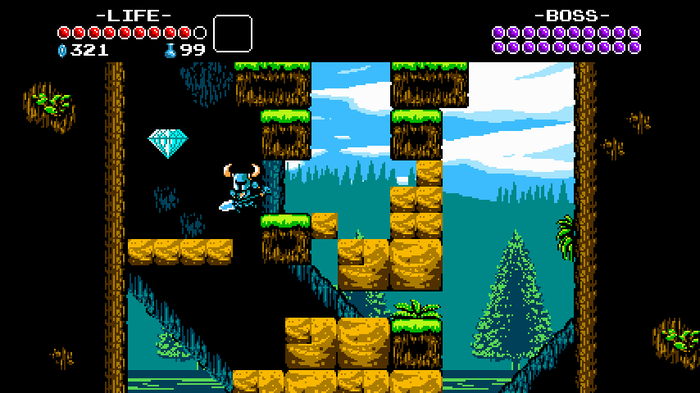 Described as a cross between Mega Man, Dark Souls, and Castlevania, Shovel Knight caters to a very specific subset of the gaming audience, but it’s still a risk for the newly formed studio. Its talent and creativity is unimpeachable based on its track record with WayForward, but all of its previous work has been based on established properties. Even its solid (if unspectacular) Nintendo DS game Thor: The God of Thunder had the movie license to carry it. Here’s hoping that Shovel Knight finds an audience beyond its backers to give Yacht Club more opportunities in the future.